Charles Lefebvre-Desnouettes was a loyal and gifted Napoleonic cavalry commander. Sentenced to death after Napoleon’s 1815 abdication, Lefebvre-Desnouettes fled to the United States, where he settled on the Vine and Olive colony in Alabama. Despite his wealth, he was miserable and longed to return to France. He finally received permission to do so, only to meet a tragic end on the journey home. Charles Lefebvre-Desnouettes was born in Paris on September 14, 1773. The son of a cloth merchant who supplied the French army, Lefebvre-Desnouettes was determined to become a soldier. Three times he ran away from school to enlist. The first two times his parents bought his release. The third time they let him go. In December 1789, he succeeded in becoming a light cavalry soldier (chasseur) with the National Guard of Paris. By February 1793 he was a dragoon. He fought in most of the campaigns of the French Revolution. Lefebvre-Desnouettes proved to be a highly skilled horseman and a capable commander. In early 1800, he became an aide-de-camp to then First Consul, Napoleon Bonaparte. He served with Napoleon at Marengo, fought at Elchingen and Austerlitz, and served in the Prussian campaigns of 1806-07. In 1806 Lefebvre-Desnouettes married Stéphanie Rollier, fourteen years his junior. Stéphanie was the daughter of a first cousin of Napoleon’s mother, Letizia Bonaparte. As a wedding gift Napoleon gave the couple the house on Rue Chantereine (now Rue de la Victoire) in Paris in which he and Josephine had first lived after their marriage. Napoleon also promoted Lefebvre-Desnouettes to general. By 1808 Lefebvre-Desnouettes was commanding the chasseurs à cheval of the Imperial Guard. Napoleon awarded him the title of Count of the Empire. Transported to England as a prisoner of war, Lefebvre-Desnouettes spent the next few years in comfortable captivity. He lived on parole at Cheltenham, where Stéphanie was allowed to join him. The couple became extremely popular with the locals. 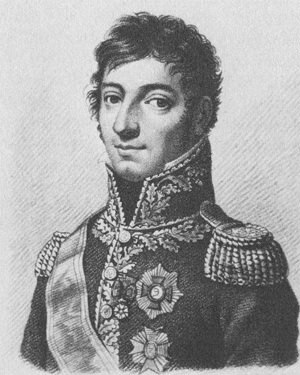 Lefebvre-Desnouettes fought in the Russian campaign, during which he was wounded. He left the campaign when Napoleon did, following the latter’s carriage back to Paris in a little sleigh. In 1813-14, he commanded the Guard cavalry throughout the campaigns in Germany and France. When Napoleon bid farewell to the Old Guard at Fontainebleau after his 1814 abdication, he embraced Lefebvre-Desnouettes as representing all of the Guard. Lefebvre-Desnouettes was well treated by Louis XVIII during the First Restoration. However, upon learning of Napoleon’s escape from Elba in 1815, Lefebvre-Desnouettes went with Charles Lallemand to La Fère to attempt to seize the arsenal for Napoleon. When the plan was found out, Lefebvre-Desnouettes traveled to Compiègne and tried to bring his regiment over to Napoleon. This also failed. Condemned to death by the returning Bourbons, Lefebvre-Desnouettes caught a ship to the United States, disguised as a commercial traveller. He joined the Society for the Cultivation of the Vine and Olive, which – as described in my post about the Bonapartists in America – petitioned Congress to grant the French emigrants land on the Tombigbee River in Alabama. Unlike the Lallemand brothers, Lefebvre-Desnouettes actually settled on the grant. 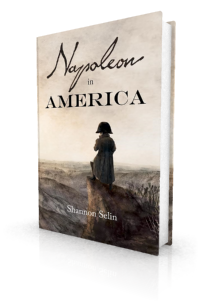 As becomes clear in Napoleon in America, he thought little of Charles Lallemand’s expedition to Texas and refused to take part in it. Lefebvre-Desnouettes’s property at Demopolis reportedly included a log cabin, in the centre of which stood a bronze bust or statue of Napoleon, surrounded by swords and pistols and walls draped with imperial flags. He wrote that he had “a commodious house and a good life.” (5) He hoped he would be joined by Stéphanie and their daughter, Charlotte, who had been born after he left France. But Stéphanie was unable to make the crossing. With another exiled Napoleonic general, Bertrand Clausel, Lefebvre-Desnouettes for a time ran a general store at the Vine and Olive colony, but this proved to be a disaster. Under the operation of an untrustworthy junior officer, the store lost its entire inventory, with money still owed to creditors. Finally, in early 1822 Lefebvre-Desnouettes obtained permission to return to Europe. On April 1, 1822, he boarded the packet ship Albion bound for Liverpool. Tragically, on April 22 the ship encountered a fierce storm and wrecked on the Irish coast (see my article about the loss of the Albion). Charles Lefebvre-Desnouettes was among the dead. He was 48 years old. Stéphanie was heartbroken. 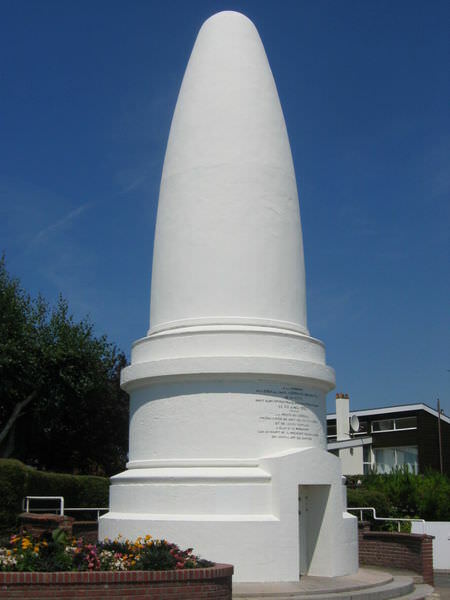 In 1852 she erected a monument to her husband at Sainte-Adresse, near Le Havre. It is known as the le pain de sucre (sugar loaf) memorial. Stéphanie died in 1880, age 93, and – as per her request – was buried in the monument (click here to see a portrait of Stéphanie in her old age). Charlotte, who inherited the 100,000 francs Napoleon had willed to her father, died in France seven years after her mother. She had married in 1836 and had two children. On this site stood the Alabama home of General Count Charles Lefebvre Desnouettes (1772-1822), friend of Napoleon Bonaparte, General of the French Army, Count of the Empire and leader of the Vine and Olive colony that founded Demopolis in 1817. Desnouettes erected log cabins on this site, one of them being used as a shrine to Napoleon and containing souvenirs of the Emperor’s battles arranged around a bust of Napoleon on a pedestal made in cedar. Desnouettes died in a shipwreck off the coast of Ireland in 1822. A street in Demopolis is named “Desnouettes.” The name of Charles Lefebvre-Desnouettes is also inscribed on the Arc de Triomphe in Paris. Diana Reid Haig, The Letters of Napoleon to Josephine (Welwyn Garden City, 2004), p. 162. Louis Étienne Saint-Denis, Napoleon from the Tuileries to St. Helena, translated by Frank Hunter Potter (New York and London, 1922), pp. 14-15. Jesse S. Reeves, The Napoleonic Exiles in America: A Study in American Diplomatic History, 1815-1819 (Baltimore: The Johns Hopkins Press, 1905), p. 28. Ines Murat, Napoleon and the American Dream, translated by Frances Frenaye (Baton Rouge, 1981), p. 88. Lady Morgan, France, Volume 1 (Philadelphia, 1817), pp. 41-42. Eric Saugera, Reborn in America: French Exiles and Refugees in the United States and the Vine and Olive Adventure, 1815-1865 (Tuscaloosa, 2011), p. 356. A saint Florent , existe une place anciennement nommé Lefebvre des Noettes , et un phare . Ces édifices auraient été financés par Stephanie Rolier ou sa petite nièce Jacqueline Vico ? En Corse. Merci, Payen, pour cette information intéressante. Vous avez raison, selon le Forum Napoléon Ier, Stéphanie fit bâtie, en souvenir de Lefebvre-Desnouettes, un phare à Saint-Florent, en Corse. Death is a thousand times preferable to my dreary, hopeless existence here. If I am not granted a recall, I shall go present myself to my judges, not in the hope of clearing my name, having no reason to give, but to put an end to all my ills at once.